Mark McKenna Inside the 1001 Fourth St. Public Defender's Office building. The future of Public Defender David Marcus' so-far short but contested tenure could rest on the answers he gave under oath to a local attorney and one-time member of the office who is looking to overturn his appointment. A judge last week dismissed Patrik Griego's lawsuit alleging Marcus did not meet the minimum qualifications required for the post, but gave Griego 30 days to refile, saying he should have more information about his contention after the deposition, which took place July 3 as the Journal was going to press. While visiting Judge Marjorie Carter noted at the June 29 hearing that her "inclination" was to overrule the county's motion to dismiss the case and "get on with this," she said there needs to be further clarification on the extent of Marcus' legal work history before the lawsuit could proceed. "You will probably know more after your deposition," Carter told Griego after hearing brief statements from attorneys in the case. Outside of the hearing, Griego said he agreed with the judge. "We feel pretty confident that this idea that he worked for a friend's law firm was just made up," Griego said after the hearing. For his part, Marcus wrote in an email sent to the Journal on Sunday that he found Griego's comments questioning whether he worked with the firm Cella, Lange and Cella "troubling." "I agree with the Court's ruling finding the petition deficient, and hope this matter will soon be concluded. There was and is no basis for the suit," he wrote. "Counsel's comments are at best mistaken, and it is disappointing that he would engage in such unfounded speculation. I love this community and look forward to being of service to it for years to come." Griego's lawsuit centers on the California government code section that states public defender candidates must have "been a practicing attorney in all the courts of the state for at least the year preceding the date of his election or appointment." Exactly what the statute that dates back to 1921 denotes is a matter of debate between Griego and the county — and there doesn't appear to be any state case law to lend immediate clarification. Under Humboldt County's government code, a candidate for the public defender's post need only be licensed to practice law in California in the year prior to an appointment — which Marcus was. If there is found to be a divergence between the two codes, the state statute would take precedence. Griego argued during the court hearing that the state code requires more than just being an attorney with an active status, but also making appearances — either in person or via legal filings — in both the criminal and civil courts. 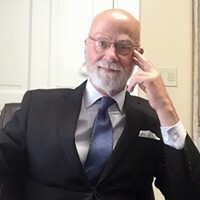 Marcus, he contends, did not meet that threshold, with questions being raised about whether the public defender practiced law at all during the year before his appointment while he was living in Florida and working as an insurance adjuster. 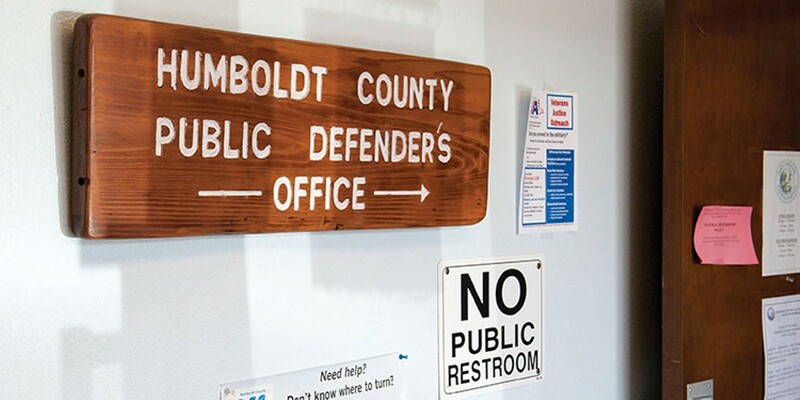 Griego said the criteria was included by lawmakers to ensure the indigent defendants being served by the public defender's office were afforded qualified counsel. County Counsel Jeffrey Blanck asserted that the state simply requires a public defender to have been a practicing attorney — which could include giving legal advice or preparing documents — before taking office, adding there was no case law he found with a requirement to have "stepped foot in a courtroom." "It's our position he was a practicing attorney," Blanck told the judge. "If the answer is yes, I don't think it needs to be quantified as to what is too much and what is too little," Blanck told the judge. Carter acknowledged at last week's hearing that an interpretation of the statute's meaning would need to be sorted out but she said that was not the immediate issue before the court at that time. That was a decision on whether the case would proceed — which she allowed in a way by giving Griego the opportunity to flesh out his argument that Marcus was not qualified to have been appointed in the first place. 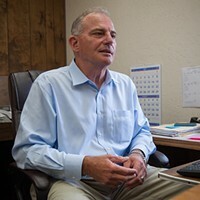 Marcus last practiced criminal law when he served as Lassen County's public defender from 2005 to 2011. His time there — like here — was marked with controversy, including a grand jury report that found he only spent 30 to 40 percent of the day at work. He later worked as a contract attorney for the Walnut Creek law firm Cella, Lange and Cella while living in Florida from 2012 through 2016, according to the resume Marcus submitted to Humboldt County. What specific legal work he did for the firm during that time is unclear — and rests at the heart of Griego's case. Marcus' troubles in Humboldt started almost immediate after his hiring in February. 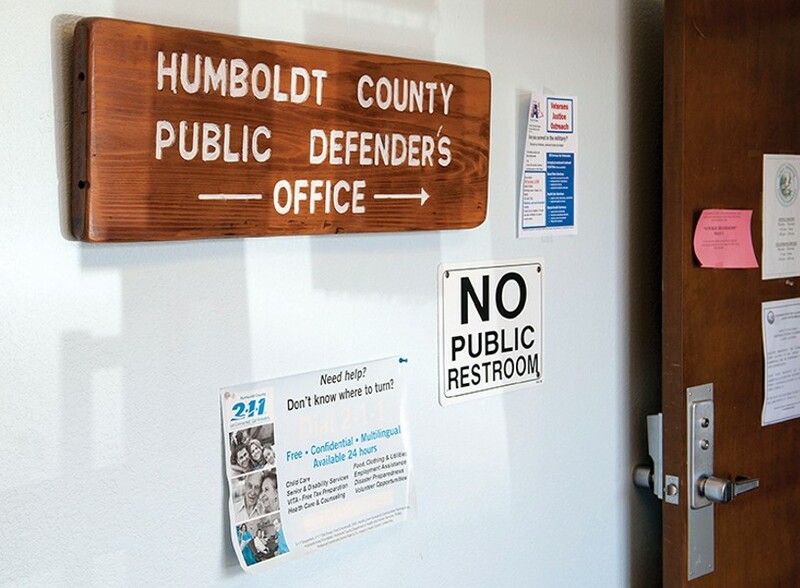 Members of the local defense bar criticized the county's process shortly after his selection was announced, saying the interview panel that advised the Humboldt County Board of Supervisors lacked a single defense attorney to balance out a law enforcement-heavy group that included District Attorney Maggie Fleming, Undersheriff William Honsal and Probation Chief Bill Damiano. Soon afterward, questions about Marcus' qualifications emerged. The board of supervisors, meanwhile, touted Marcus' two decades of criminal defense experience before leaving Lassen County in a March statement that also stated he "meets all statutory requirements for the position." That was followed by pair of letters from public defender's office staff and attorneys with scathing assessments of Marcus' ability to do the job. For now, the case is on track to be refiled. Blanck stated in an email to the Journal that the county agrees "with the Court's ruling that the Petitioners had not stated sufficient facts to determine whether or not the practicing law standard was met." "We will wait and see what they put in their Second Amended Writ," the county counsel wrote. — Kimberly Wear is the assistant editor and a staff writer at the Journal. Reach her at 441-1400, extension 323, or kim@northcoastjournal.com. Follow her on Twitter @kimberly_wear.